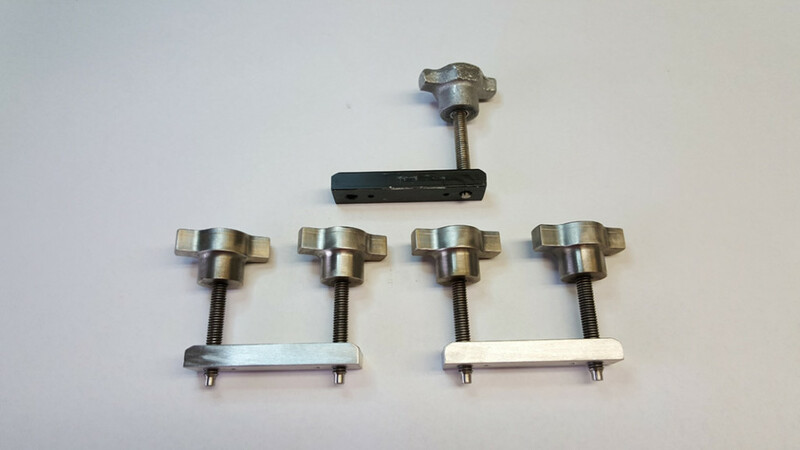 Custom machined parts, shafts and assemblies. 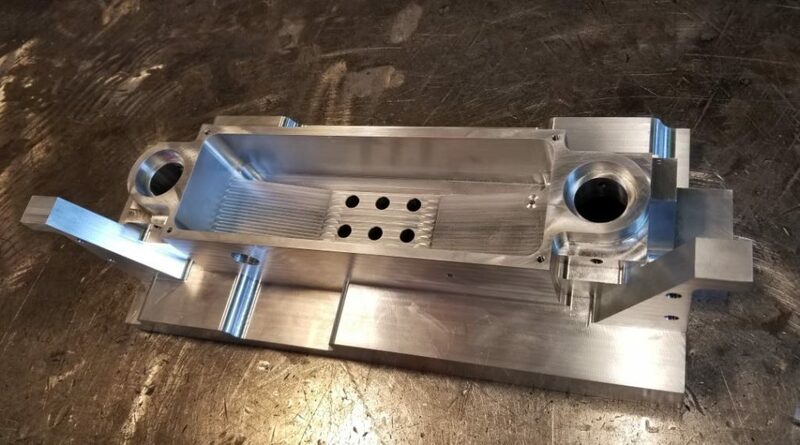 Full CNC machine shop services for components and full assemblies made from steel, stainless steel, aluminum, brass, bronze, various plastics and other materials. 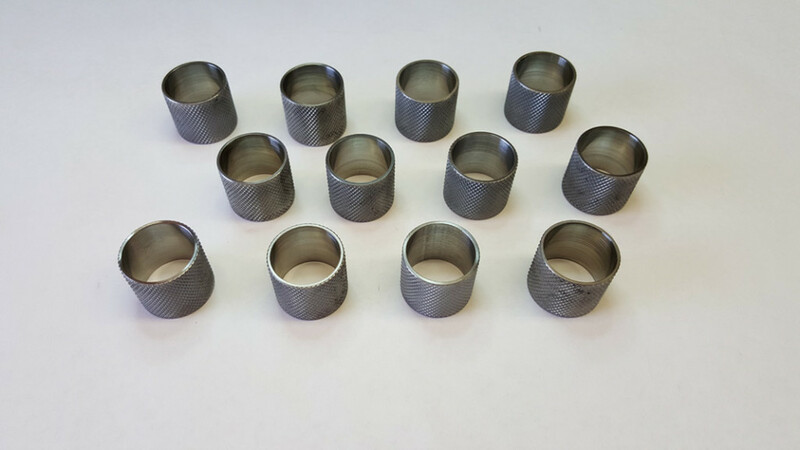 A full line of cold rolled steel, stress proof steel, stainless steel, and metric stainless rounds are in stock for quick delivery. See our complete stock list. 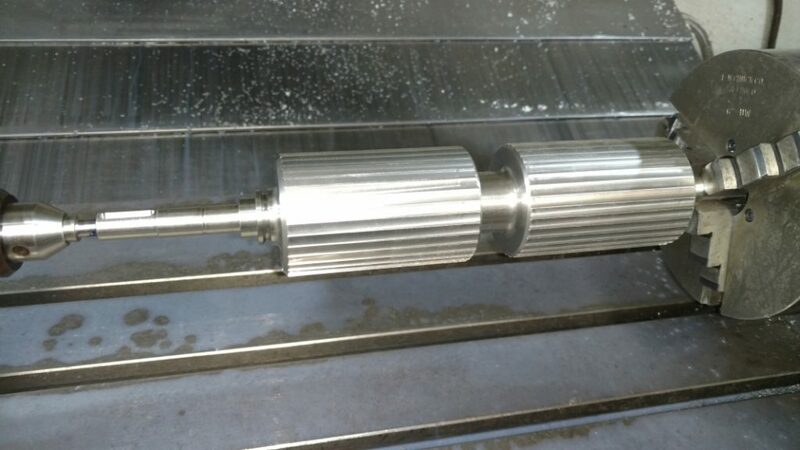 Repair and Rebuild of existing shafts, bearing housing, seal surfaces etc. 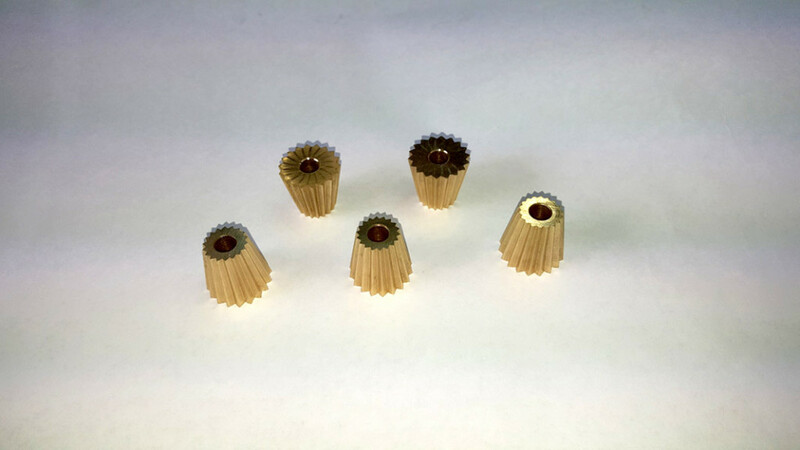 Custom steel bushings with knurled exterior for tight fit into existing equipment. 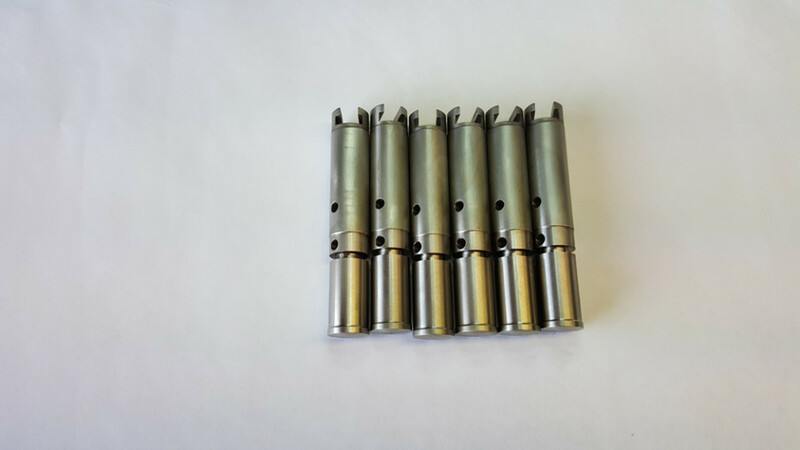 Stainless steel shafts with thru holes and t-slot milled into one end. 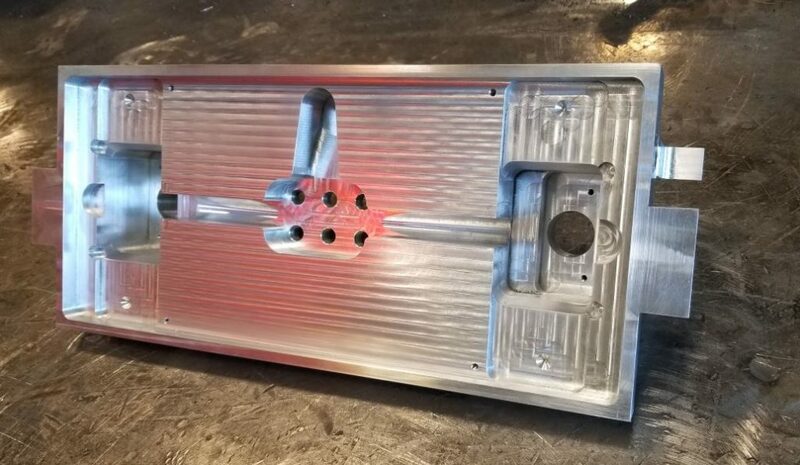 Stainless steel clamping fixture with wing bolts. 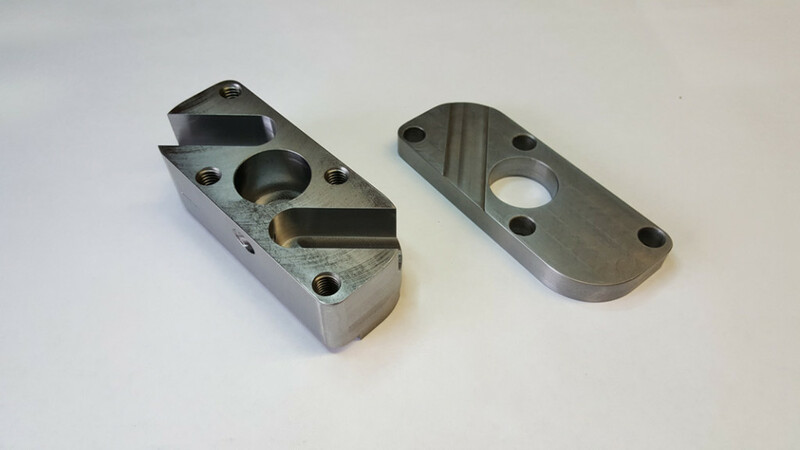 Boring head machined from tool steel per customer's design drawings. 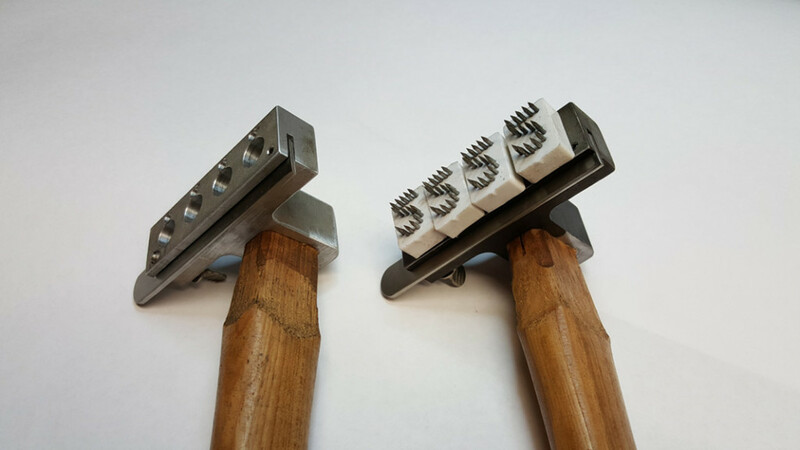 Custom made steel tattoo hammer heads. Custom stainless steel threaded hub with locating pins and wing nut. 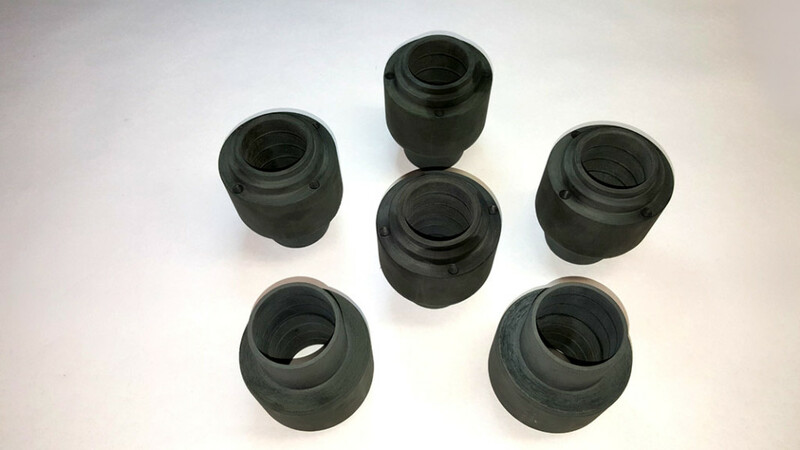 Duplicated an OEM canvas phonelic pump shaft seal saving the customer considerable money over the factory parts. Custom made brass pipe cleaner heads replacing existing steel parts to prevent sparking. 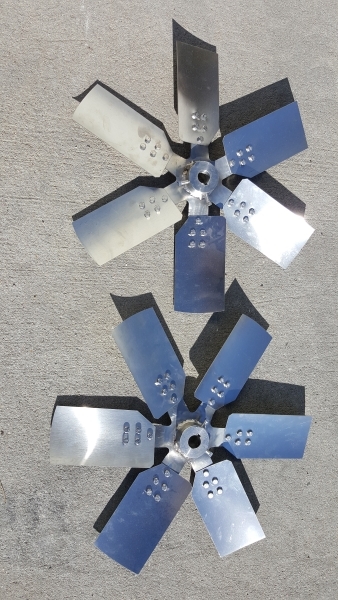 Finished 303 stainless steel toothed roller. 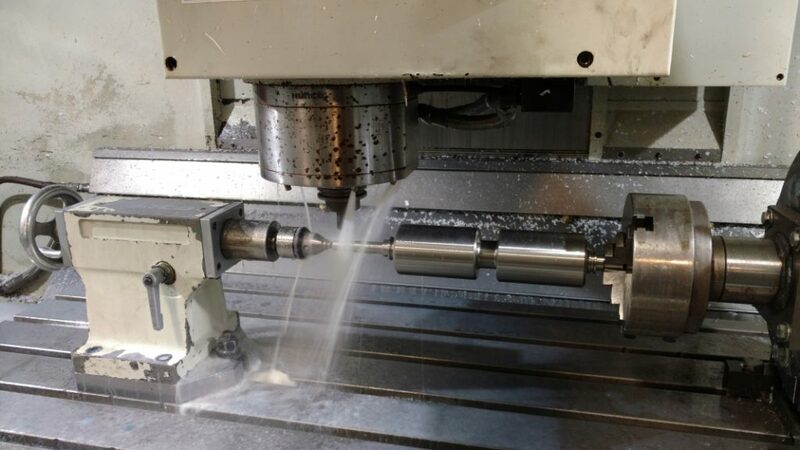 Stainless steel toothed roller being machined using the 4th access in Hurco machining center. 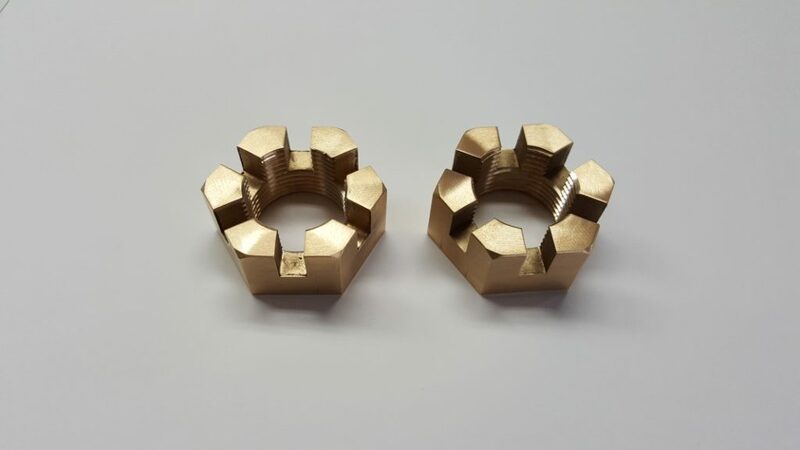 Custom machined brass castle nuts. 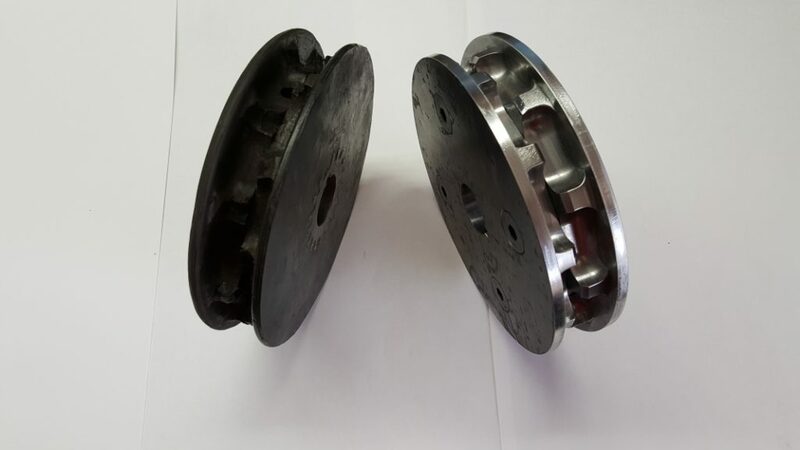 Custom machined steel chain sprocket reverse engineered from damaged sample. 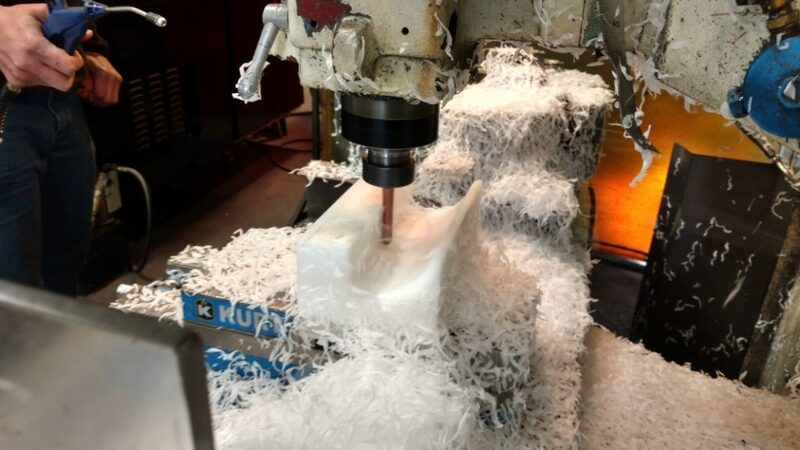 Custom Delrin mounting block being machined. 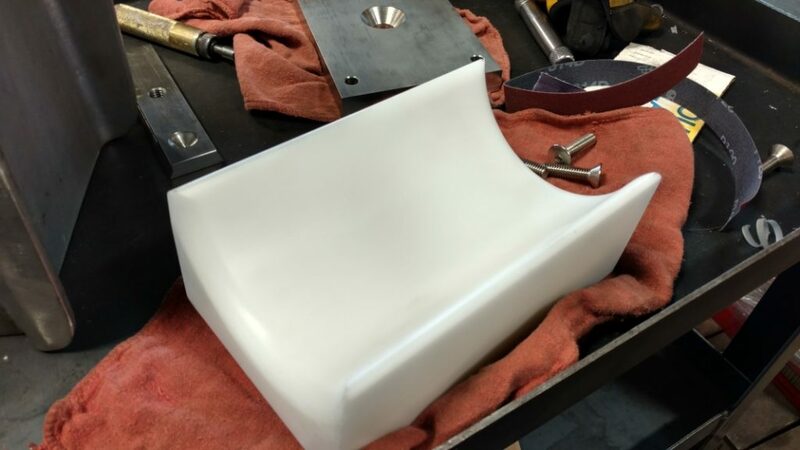 Finished custom Delrin mounting block. 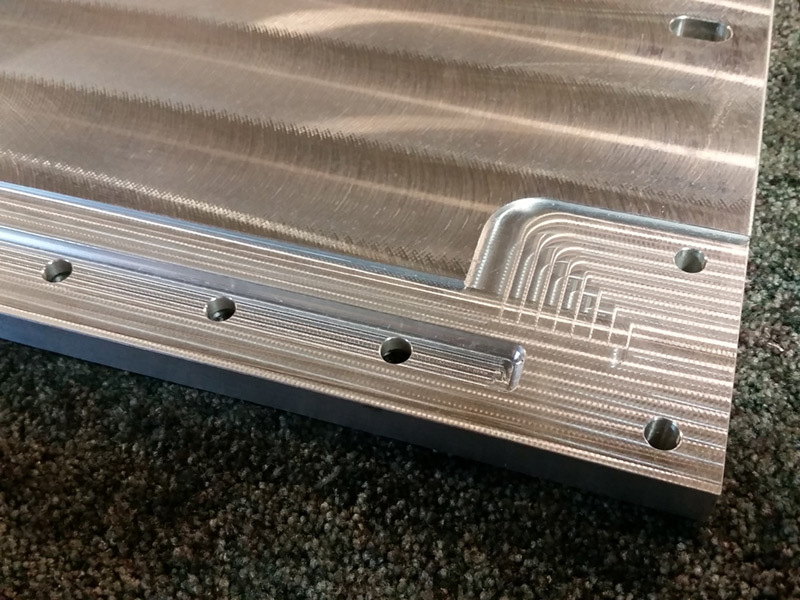 Anodized aluminum final seal assembly for bacon packaging. 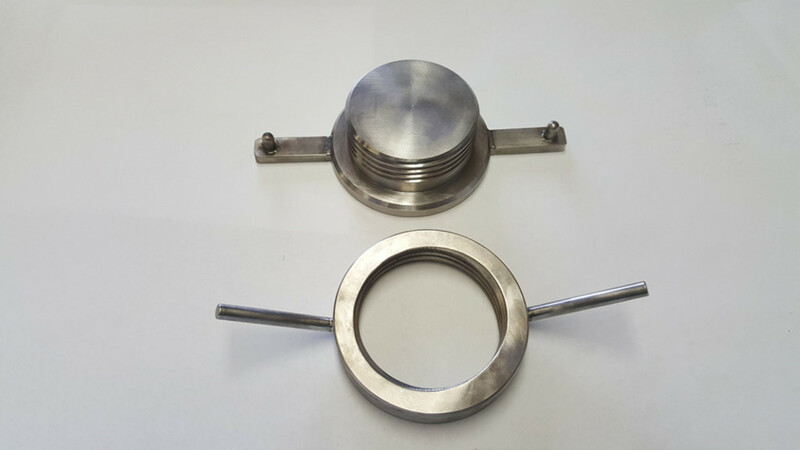 Custom stainless steel hose barb fittings.